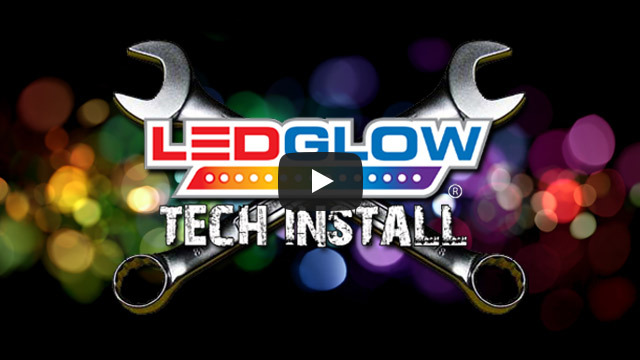 LEDGlow’s Blue Wireless SMD LED Truck Underbody universally fits 166 ultra-bright blue SMD LEDs housed in (2) 46”, (2) 36” and (2) 24” underbody tubes to any truck! LEDGlow’s Blue Wireless SMD LED Truck Underbody Lighting universally fits 166 ultra-bright, wide angle SMD LEDs housed in (2) 46”, (2) 36” and (2) 24” underbody tubes to any truck! The 2 included 24” tubes provide additional underglow lighting for vehicles with a larger wheel base. Featuring a flat mount tube design with clear, 15 degree angled mounting brackets that take up less space than the previous, round tube model. This wireless controlled underbody lighting kit produces an ultra-bright glow by using surface mounted LEDs that allows for a stronger color spill that surrounds the bottom of the truck. This product is the best. I had it installed before my husband got home from work. Lets just say he was surprised that his wife installed it but also how great it looked.